Pella windows prices depend on the material and upgrades you choose, but are at the top of the window price spectrum. Homeowners can expect to pay around $300 for a Thermastar vinyl window fully installed while you will pay anywhere around $1,050 for the Designer Series wood clad window. Pella receives very mixed reviews for their vinyl windows and lower end wood windows. They are known for making very nice wood windows that are on par in terms of price with many of the other leading manufacturers like Andersen and Lowen. Some contractors in the industry think Pella is an average window sold at a high price, while other like the product and customer service. The Encompass vinyl window generally receives poor reviews and are mostly sold through the big box stores (Home Depot, Lowes etc.). In general, there are better vinyl windows that are better made and should be considered first for homeowners looking for long term value. 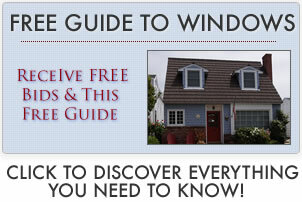 For a list of 5 budget window replacements under $400 fully installed, click here. The Impervia is a fiberglass frame that is available in a huge number of custom sizes. They are clean frames with a thin profile that comes as a casement or double hung. Some industry experts don’t care for the the double hung’s design and overall look. Their performance numbers are meh with a U-factor of 0.33. Many experts feel these windows are overpriced when comapred to say the Marvin Infinity window. These windows are regarded as an entry level wood window and there are probably better alternatives out there such as the Andersen 200 Series. While Pella makes a very nice looking wood clad window, most homeowners who want a wood clad should bump up to either the Architect or Designer for the best long term aesthetics, durability and value. The Architect series from Pella is a Proline series upgrade, even though Pella will probably tell you the two series are similar. These windows get good reviews from contractors though they still feel the price is a little too high and that there are better options available – comparable to Loewen standard collection and or the Marvin Ultimate Series. The Designer is the top of the wood window range from Pella which receives good contractor reviews for aesthetics and quality. Pella is known for their beautiful wood windows and the Designer is a good example of this. The downside is the price tag, which can be over $1000 per window fully installed. If you do opt for Pella, make sure your contractor or installer has a long working relationship with the company to insure prompt response if something does go wrong down the line. Find Pella replacement windows prices from past customers and homeowners – please note the year in which the project was completed as price obviously go up year to year. (You can assume a cost increase of 2% – 2.5% per year.) In addition, note whether the the price for a Pella is for a bid or a completed project – the initial bid is usually more expensive than the completed project price. Included product, tax and installation. Included windows, installation and all prep work. Project bid only – from 2008.